Consider starting your own parent literacy night! Parent literacy nights are something parents and kids both enjoy. Many times the night becomes a huge event, complete with bouncies, clowns and snacks, but the purpose behind the event is serious-to foster a love of the written word. Statistics from the National Institute of Literacy show that children whose parents don't read to them regularly often fall behind their peers in academic accomplishments. This makes reading more important than ever, and the earlier you start the better. The gift of literacy unlocks doors for a child. Not only can that child learn about new and fascinating places, people, and things, but a child that can read and comprehend becomes a self-learner, learning new concepts in science, geography, history and even math through the written word. Children without the ability to read well begin to fall behind their peers and have a hard time catching up for this very reason. Many parents and educators are teaming up and planning parent literacy nights to get books in the hands of children in the community, give parents the skills needed to read with their children and help the schools gain books needed to enhance the education of students. There are as many ways to host parent literacy nights as there are different types of parents. 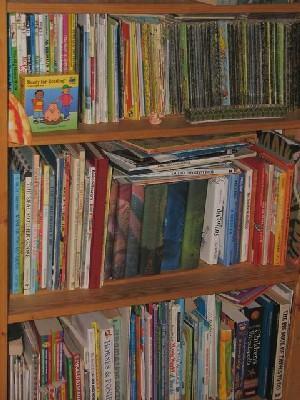 There are many different things parents can do to help children learn to love reading. Many schools and literacy organizations are offering training sessions with workshops, hands-on activities and flyers explaining different ways to make reading fun. The focus isn't only on fun, however. It is just as important that a child is able to comprehend what he is reading as it is that he read. It does little good if your son reads ten books in a week but doesn't understand a single word of what he's read and doesn't retain any of that material. There is nothing quite as beautiful as a child opening a book, a huge smile on his face and digging into the pages of his own personal tome. Unfortunately, some families can't even afford school book rental much less extras like luxury books for enjoyment. Some parent literacy nights have become more of a fundraising effort where families bring books they want to donate to those less fortunate in the community. The event can be opened to families from all over, and a free book can be offered to either those who need one or even to every child who walks through the door. Many times, local businesses will sponsor such an event and donate the money to cover the cost of these books. Literacy night can also be used for a dual purpose. To make parents more aware of techniques they can use to make their child more literate. To host a book fair where books are purchased. The school then earns a percentage of those sales which is applied to books for the school library and individual classrooms. Storytellers-This is a great job for the older adults in your community because they can talk about history and life experience with the students. Contact a local senior center to see if any of the members might be interested in joining you for literacy night. Battle of the Books-Students read books beforehand, form into teams and then battle to see who can answer the most questions correctly. Game Center-Parents and kids create games that they can use at home. Folder games are perfect for this type of project. They are affordable, easy to make and fun. Library-Open the library to parents and kids so that parents can sit and read a story with their child. Whatever the purpose behind the literacy event, the end result should be more awareness of literacy issues and education for parents on how to better prepare their children.